Nancy Irlanda, the anchor of Solar Nightly News, has resigned from the evening newscast. Speaking exclusively to Media Newser Philippines, Irlanda told us that it was her own decision not to continue as anchor of SNN, saying: "The decision to leave the evening assignment was a decision by me, as a parent, choosing to spend more time with my two little daughters." 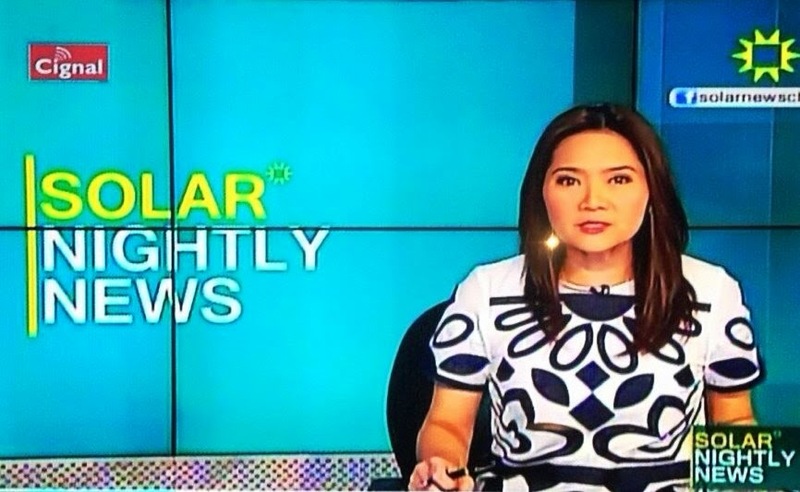 Irlanda joined the Sunny Network in 2011 after years of working on the ABS-CBN News Channel. She began anchoring Solar Nightly News in August 2012. This past year, I've come to make an observation on Irlanda. I've noticed that she has two personas: the serious anchorwoman and the highly inquisitive interviewer. Both are on display each night on her newscast. Solar invested in that when they tapped her as Mai Rodriguez's replacement on Elections 2013. The result: a weekly serving of intelligent discussions on the 2013 elections and anything that goes with it. To sum it up, Irlanda has the skill sets that makes her a very qualified news anchor. She's sharp, a highly-skilled (underrated) interviewer and a commanding voice that can lead her own program. With her sudden departure, it's more likely that Headlines' Hillary Isaac will take over the anchor chair vacated by Ms. Irlanda, or is it too early to tell? In the world of TV news, anything can happen. We've reached out to Solar News for a response regarding Ms. Irlanda's departure. We'll let you know once we get a response from them.